I heard a friend say about losing someone that she always said “See you on the flipside” instead of goodbye. I really liked that, truly hate goodbyes and when I have said way more goodbyes than I care to remember, I latched right on to this saying. Today, I had to do just that with our Smokey Vaughn. 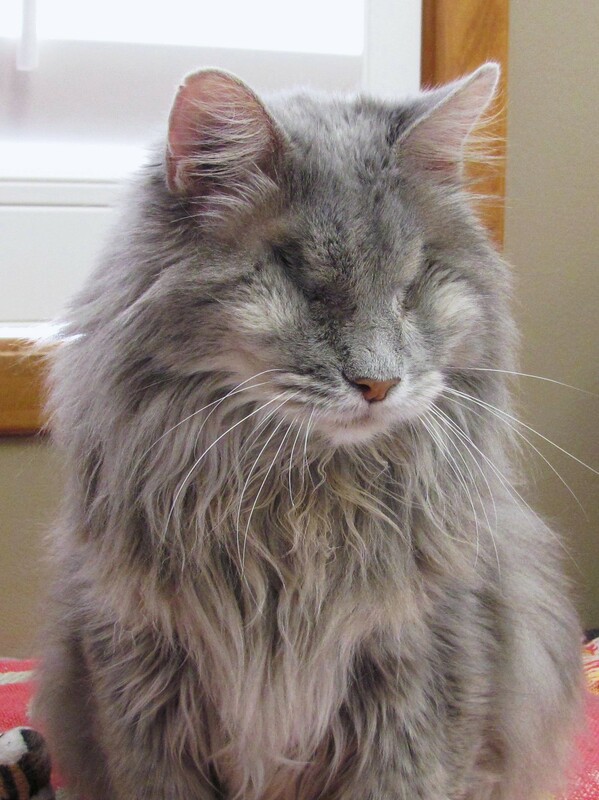 Smokey Vaughn came into our care in 2007 when his pet parent passed away, so we gave him the pet parent’s last name because Smokeys were just too common. Oh boy was Smokey a handful then. He didnt get that much time out of his confined area because he hated other cats and didnt have a single flinch in just attacking them full on. 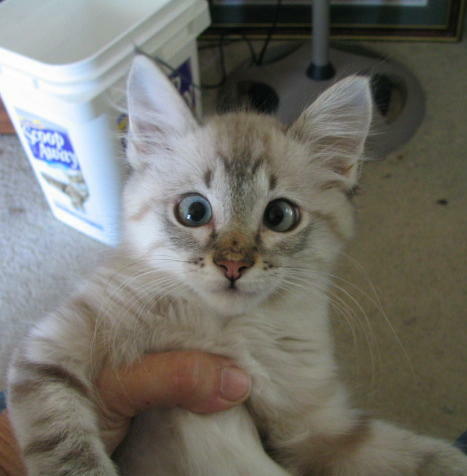 About 10 days a day, someone would say “Smokey Vaughn, knock it off, you are going back into time out” This was a cat with 2 eyes at the time and hadnt been neutered for more than 1/2 his life. Mr Vaughn, although had nothing for himself, couldnt bare to see a cat starve or want for anything. And even though he would lose his patience with Smokey Vaughn because of his aggressive behavior with other cats, he loved him just the same. We had to shave him alot because he wasnt that interested in being spiffed up, after all he spent many years as a street cat that lived to love the female kitties and that was his main focus, he never really cared about grooming. His long soft hair was quite often shaved in a lion cut. As the vision in his left eye began deteriorating in 2008, we soon found out he had glaucoma. That meant he didnt see out of it anyway and it caused him pain, so we had the vet remove it. We could sense that he was more like himself after that surgery. In 2010, I believe, he began showing signs of the remaining eye being diseased and we knew he was already blind totally, so we wanted him to be free of the pain of that also, so the eye came out. It was always so amazing to watch him manuever around a room, of course, he returned after recovery to his same area so he knew it well, but it was when he would turn his head to “look” your direction when you talked to him or he sensed a friend in the room that would also set us into wonder. He never felt sorry for himself, I believe that is a human emotion, not an animal’s. They just decide that this is the way things are now and how will I get around it. 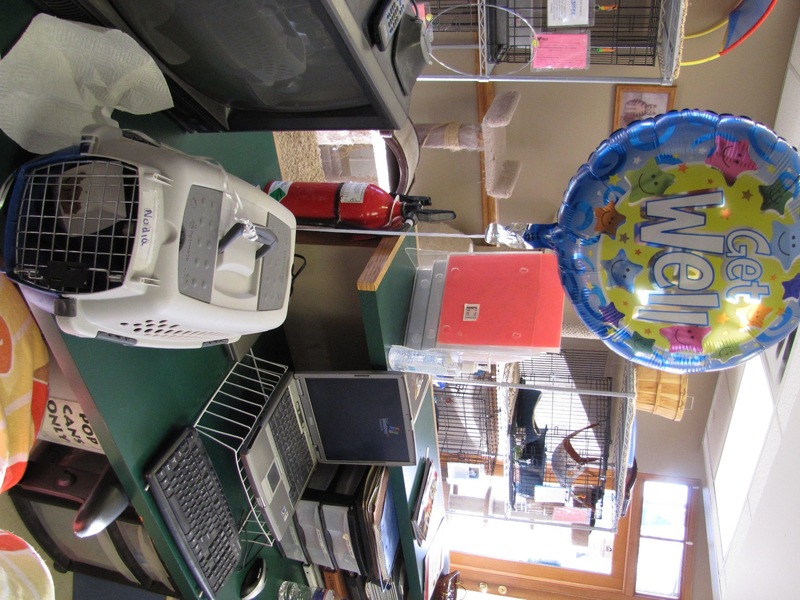 When we moved into our new bldg in 12/2012, we all worried about how Smokey would adjust to his new much bigger room. Pfft! 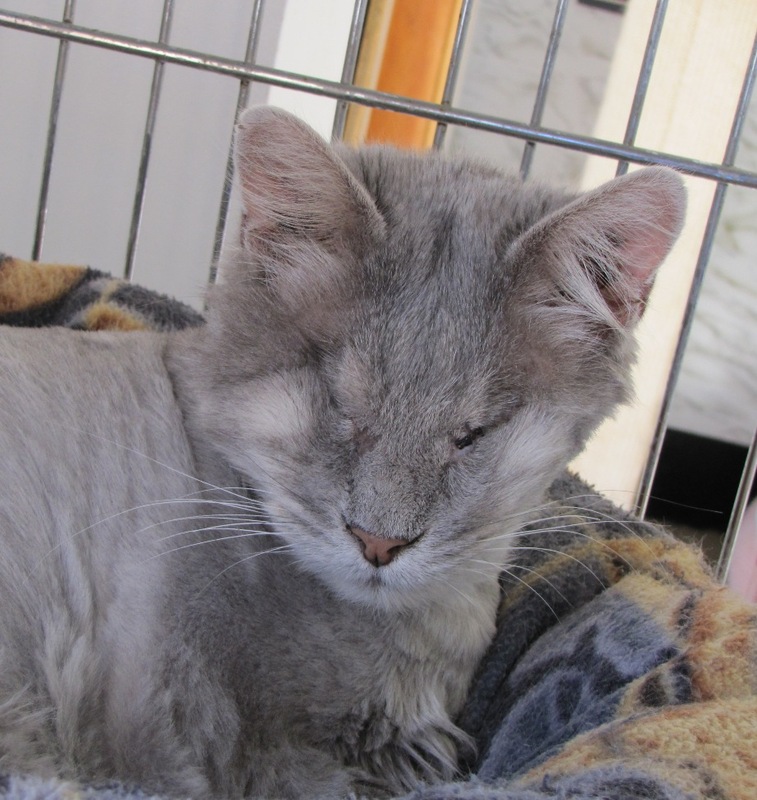 Although someone stayed in his area for a while, there was really no need, the other cats usually moved out of his way and Smokey was getting old and didnt really need much but a litter box, full food and water and of course, his thick quilt on the floor and love. 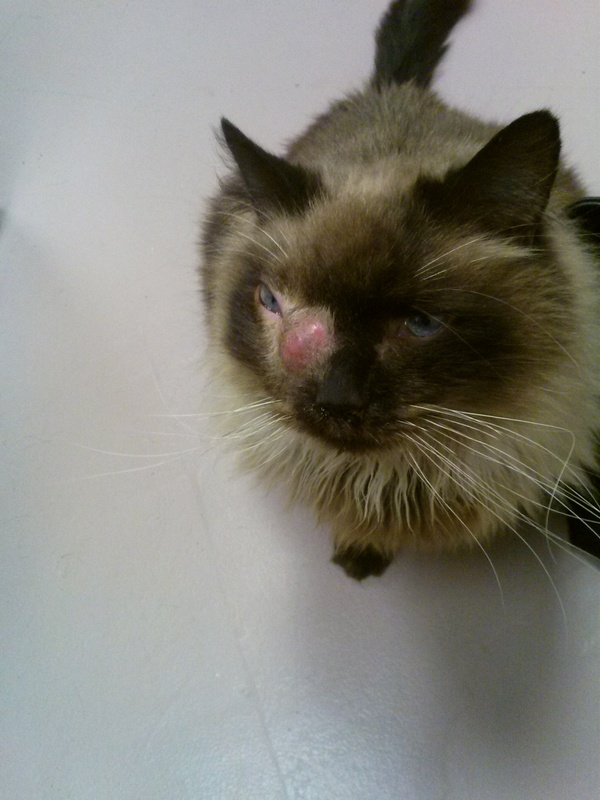 He had arthritis and also had developed hyperthyroidism and recently his kidneys started showing some decline. 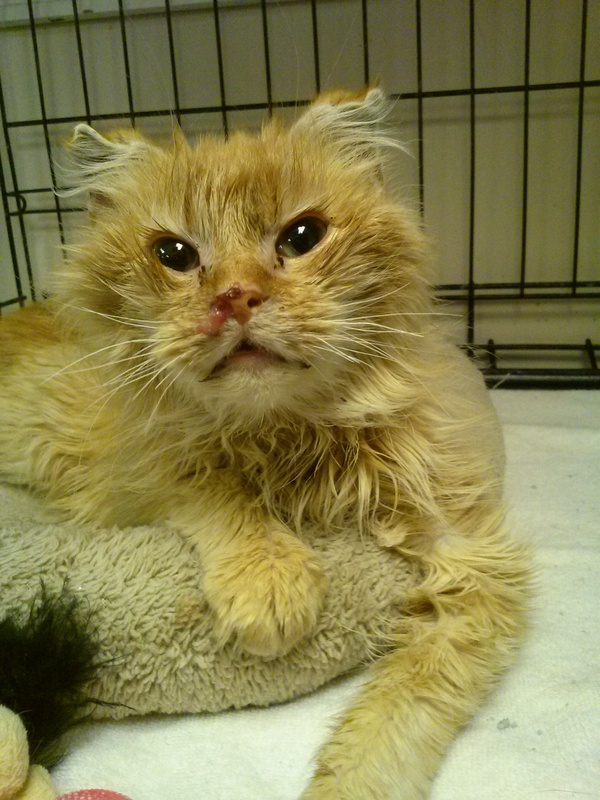 He tolerated all his meds and the med for hyperT can really be rough on cats, but this survivor boy just took it in stride. In the past few months, he has had several small crises and he would still rebound back from them. The ironic part in that is that his pet parent was the same way. He had many ailments and when he went into the hospital I would worry he would not be coming out this time, but he did, he found the strength to walk out again, then in 2007 just the day after Christmas, he just didnt. Smokey Vaughn was the same, he would have a crisis and I would fret and we would get a diagnosis and I would worry “is his time close” but it wasnt, and he would somehow come out of it and keep on living. He knew when his friends came in the room and was always hopeful for a stroke or kind words from even those that he didnt know. He had many friends that would visit the shelter and so many would ask about him and want to visit him. I am thinking about how many hearts will be broken when they get this news. This morning he suddenly went from ok to in crisis and our wonderful volunteers noticed immediately and got him to our awesome vet. She called me to give me and update and since inserting his IV catheter for fluids, he had perked up and was looking brighter. Of course, I was thinking, that tough old guy, he’s gonna pull through again. This time it wasnt to be, a couple hours later, our Dr Smith called to say that although he had perked up at first, he was declining quickly again and she felt like I should come and visit for myself. I wont go into the gory details of exactly what was happening but beside many other things, she had discovered that his heart was just barely beating. Two of the 4 chambers of his heart were barely functioning and from the debris on the ultrasound in one chamber it looked as if clots were forming, his body temp was also dropping, a common sign they are dying. When I arrived at the clinic, I went to go to his cage, he was lying on his side and not very coherent. I said his name and he lifted his head and I could hear his purr start up. My heart jumped a bit and I could feel myself hoping that another rebound was coming. Wonderful kind Dr. Smith and Katie a tech helped him and I and a IV pump into an exam room and I cuddled Smokey and he purred like the Smokey I know. I have had to make “the decision” in these cases for way too many times and this one was going to be the hardest. Not only was this wise old soft loving boy loved but he had made so many comebacks. How could I be sure that another one wasnt coming?? What if I made the decision to let him go and he was still working up the strength for another comeback?? I spent about 1 hour curled around him wanting someone else to decide and at the same time wanting no one else to decide but me. After a while, he began to struggle to breathe and his tongue was started to come out and his breathing intensified. I asked Dr Smith some questions and then with anxiety and my heart breaking, I told her I thought it was time but still kept thinking about that so desperately wanted comeback. Dr Smith let me take all the time Smokey and I needed and when the breathing was getting worse, it had to be then. We both talked to him and told him who would be meeting him on the other side and that to be sure and tell Mr Vaughn about his acupuncture treatments so that Mr Vaughn could shake his head and say “those crazy cat ladies” At one time, Smokey managed to raise up his front leg and lay it on my arm, almost hugging it. I held his head in my hand and quietly and gently he began another journey. His nose was against my coat and then Dr Smith noticed blood flowing from his nose. It broke my heart and convinced me his body had no more to give, another comeback wouldnt have been possible. 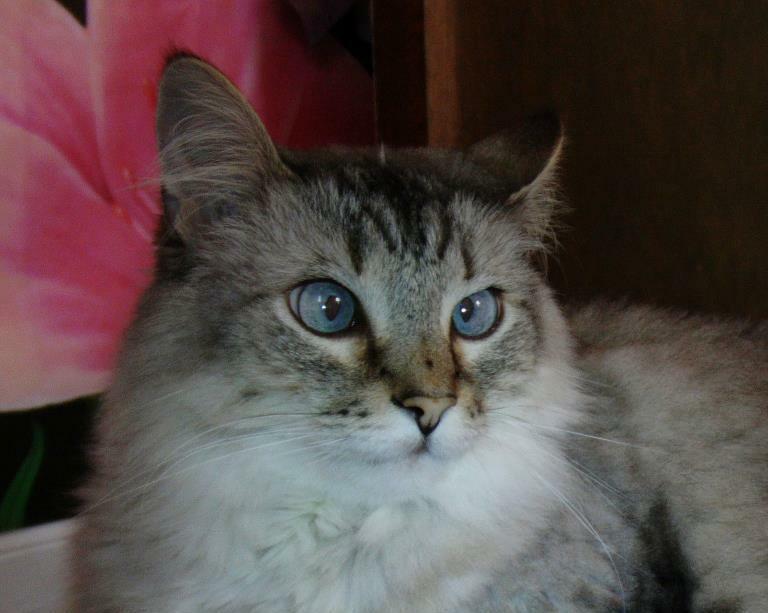 I kissed him and told him how much I loved him and would miss him and above all, no goodbye, just See you on the flipside Smokey……….Godspeed………..
All rolled into one day. People tell me “wow, I couldn’t do your job, it would be too hard” and others “wow, your job must be alot of fun”. Strangely, they are both correct, and as far as emotional toll, some of the best days and the worst days can be all rolled into one day. Today, January 17, was one of those days. Later today, we got a kick in the gut. Peanut was a cat that had been adopted out twice and returned twice, for no fault of his own, at that point, I decided that Peanut was no longer up for adoption. When he had been put back into the shelter both times, it was just so hard on him adjusting again. Both times, he thought he had a home, but didn’t. 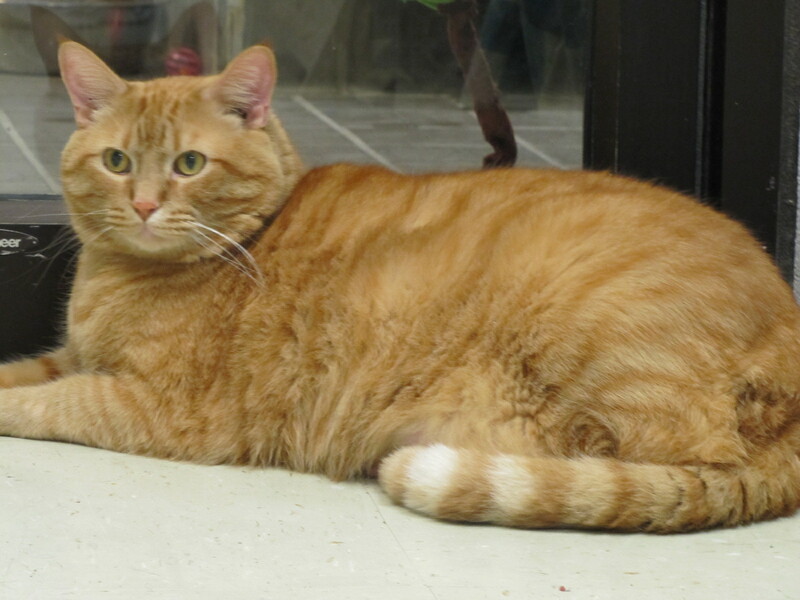 In 2013, a man looking for a cat visited our shelter and for some reason, zoned in on our Peanut and wanted to adopt him. Our front desk girls both told him, he’s not up for adoption and told him the reason. He just pursued it more, wanted to speak to the person that made these decisions, that was me. So I spent 30 minutes with the man, first of all I explained about him being returned and how hard on him that was. He appeared to understand and agree but proclaimed he wouldnt dump him back into the shelter. So, then I explained to him that he had to be given an eye med every day and as long as he did that, Peanut’s eyes would probably stay well. I explained that we would provide the eye meds but obviously he would have to administer them and contact us when he needed them refilled. We were able to do one follow-up call to the adopter and he said Peanut was doing well and he wasnt having any issues. When the next follow-up call was made, the msg said it was not accepting calls. Our follow-up volunteer was worried, I was just hopeful that he wouldn’t have let me down and was maybe out of phone minutes etc. She tried several times to no avail. So, today our worst fears were realized when the adopter walked through our door to once again dump Peanut back into the shelter. Yes, we were happy he didn’t dump him on the streets but the worst part, he stopped giving Peanut the eye meds some time ago and he almost appears to be blind!! So this adopter just either lied during the entire discussion with me or maybe at that time he felt the need personally to make some grandiose rescue to make his own self feel better and after a while of caring for Peanut, he was just too selfish to continue to take care of Peanuts needs and just let him exist. I keep pondering “With SO many cats listed for free everywhere and available at many other shelters for lower adoption fees and with no special needs, WHY WHY WHY would this guy choose to go through this discussion and convince me that he was going to be Peanut’s angel?? Why??? I just dont understand. So, now Peanut is back with us, I am glad he is here and not dumped on the streets but I just don’t understand this adopters reasoning when he begged and pleaded and promised to care for Peanut forever. Now Peanut is started on many eye meds with more to come and back into the shelter. My heart is literally ripped out and stomped on. I have apologized to Peanut many times since this afternoon and there will never be anyone able to talk me into allowing him out on adoption again……..not the way this story should have played out. 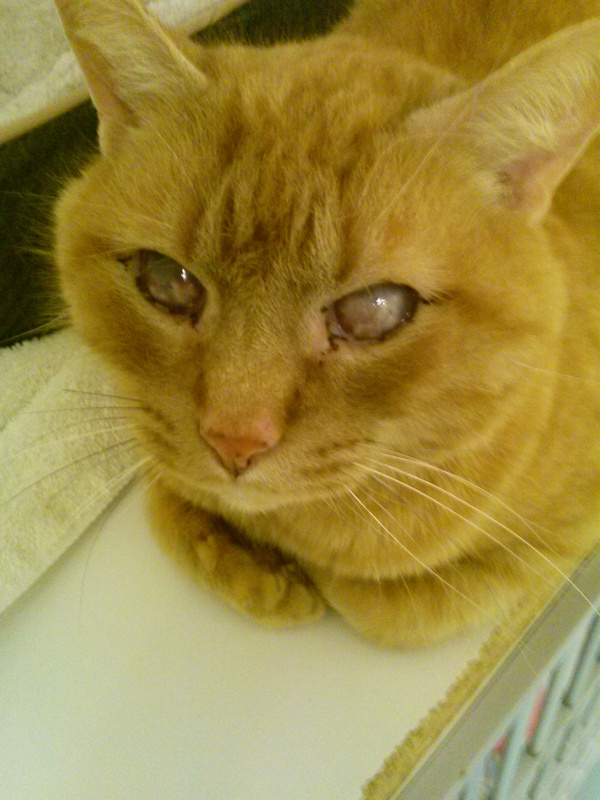 I am so sorry Peanut, please think good thoughts and send prayers that we are going to be able to save his eyesight. I just keep saying Why?? And then this little pitiful Tuna that was rescued by a Good Samaritan and brought into an Emergency Vet. They gave him care and then asked if we would take him into our program. Well, they said he was young and very sweet but didn’t prepare me for what I was going to be seeing. This little boy just barely survived and he still has a long way to go before he is well. What a sweet boy he is but is just so sad to look at right now. He is eating well, we are happy about that, just too bad that we cannot help him to blow his nose. Another sick kitty tough to look at. The tips of his ears will probably fall off from frostbite to them but he purrs and paw paws if you even look his way. I am very grateful that we have all three of them and they are all getting care. I am grateful they have a place like HELP Humane that believes all life is precious but am sad that animals have to go through such horrible things and they are all dependent on the goodness of a human being willing to help them. I am grateful for the staff and volunteers that are so amazing and will help these precious babies to regain health and be surrounded by love and our supporters that help us to afford the vet care. I will be working at keeping that in my thoughts instead of the sadness about it. It wont be easy, but I will keep trying. Please send good thoughts and prayers for our babies. As we close out another year and welcome in 2014, we look back on all the lives saved and second chances given by HELP Humane. Yes, we are very proud of our work and the organization. No, we don’t save the most lives or do the most adoptions or even have the biggest building or the biggest following. BUT, what we do have is an organization that is run from the heart. All the staff and volunteers love the orphans in our care as if they are our own. Our eyes well with tears when they go out on adoption, happy tears for the adopted animal and a wisp of sadness for ourselves as we know we will miss them. We know we rescue so many of the saddest cases, we know our hearts have broken many times when we have met that injured sad furry face coming in our front doors. The ones that no one wanted to take on because the recovery time was too long or the expense for treatment was too much. The ones that had almost given up. Many of us have cried into their fur thinking about what they might have went through. 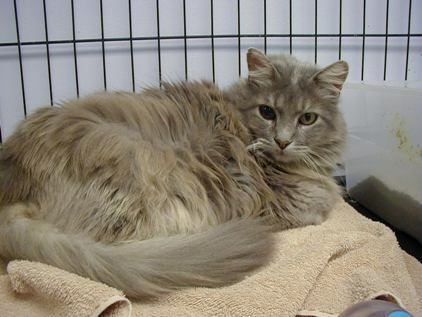 We also know we are an organization that specializes in cats, we rescue dogs, but we specialize in cats. Both cats and dogs are 1st class citizens at our shelter. Very few shelters can say this. This is not always a popular idea as cats are seen as more disposable than dogs. However, we also know that the problem with homeless cats is much larger and more daunting than that of homeless dogs. There are also many shelters and rescues that only rescue dogs and specialize in dogs. We love both and rescue both, we just have a smaller number of dogs in our care. We know we go into the shelter every day and never know what we will encounter but we know for sure what we want and do our best in the best interest of all the orphans in our care. We can have the best day with a very special animal going home or a sick animal beginning to eat on their own and in the same day have to hold a paw as the vet releases them from their pain from an illness that beat them and us. But every day, we KNOW we are making a difference in these very precious lives in our care. We look into their eyes and we know. We know………..
We also know that we may not have the most supporters but we know we have the best supporters on our team. Our volunteers are the most dedicated and loving people you could imagine. They know all the animal’s names and they worry when they are not feeling well. They rejoice and cry with us in each victory and defeat in fighting for these precious lives. We also know we work with the best vets also, they also rejoice and cry with us. They also deeply care for our orphans. Belton Animal Clinic and Exotic Care Center (Dr Smith and Dr. Bradley-Bays) and Belton Veterinary Center (Dr Kelly). And our supporters like you who give of their hard earned money as gifts for the care of these precious lives, we are not a complete team without you. It takes a village (or team) to make a difference and if any aspect of it is not there, its just not going to happen like it has been. We just began our 9th year having a brick and mortar facility and our 17th year as an organization. You simply dont do that alone, it takes a team. Thank you for trusting and believing in us! We wont let you or the animals down! Please watch our facebook page and these newsletters for upcoming events. This year we will also be doing more snail mail newsletters because of a great deal the post office has now. If you would prefer to receive only the online email like this or the snail mail only, just hit reply and let us know. Within 24 hours, we will bid farewell to 2013. If you havent made all your tax deductible donations that you would like to give for 2013, here is a link to our online fundraiser to cover our vet bills. Even if you are unable to give at this time, please still go to the page to read some of our stories of second chances and please share this email with those that might be interested in helping out. Click the below link to read the stories. Wishing you every happiness and prosperity in the New Year. Thank you for being on our team, we could never really convey how much we appreciate you. We look forward to continuing our relationship in the coming year. Then there are the pleas that keep me from sleeping, the ones that make my eyes well with tears when they unexpectedly cross my mind again, the ones that haunt me so much that I wish I could pull the covers over my head and “check out” for a while. People tell me all the time, “you have to stop saving these true hard luck cases, our finances cannot take it”. Oh, and I say this to myself all the time also, but it usually doesn’t work. My head knows it, my heart can’t accept it. This helpless injured, sick or neglected animal cannot be rescued because there is no money?? How can this be the deciding factor as to who gets help and who doesn’t? How can we say “no, we cannot help because the funds are just not there to help” So, that puts HELP Humane in a place where we are asking for your help. We have really run up some VERY high veterinary care bills rescuing the most neediest of needy homeless animals. If you can help in ANY way, we are in need because we helped these animals get their second chance, I would like to share some of their stories and you too could see how we couldn’t not help them, now we need your help…….. If any of these stories touch you and you would like to make a donation to their care, please visit www.helphumane.org and click on the make a donation link. We cannot thank you enough for helping us to care for these precious deserving animals. We know together we can continue to help those that need us the most. Vivica made her presence known! 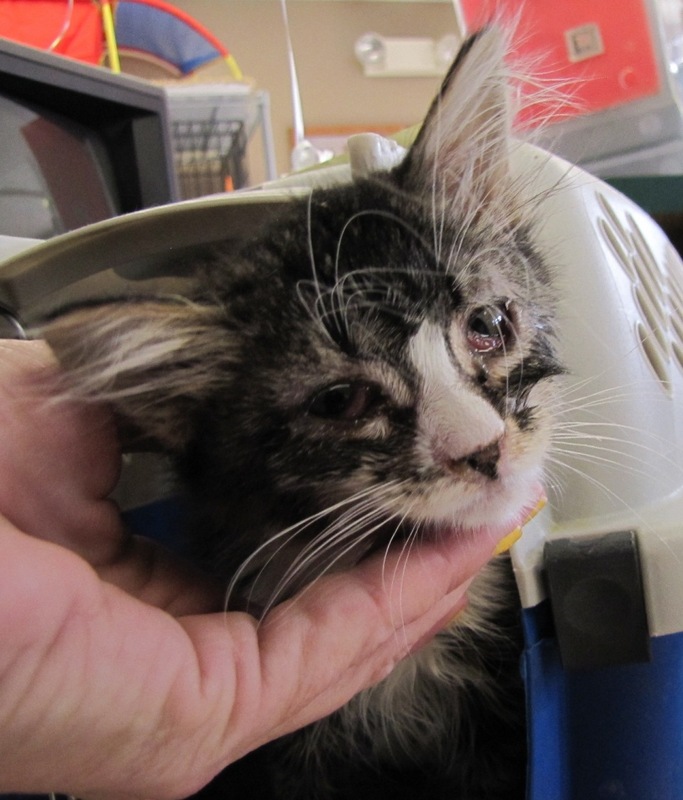 In November 2011, we saw a post asking for rescue of a very sick kitten at the KCMO animal control facility. We made contact with the facility and said we would take this little one into our care. A volunteer arrived that night and we looked at the kitten and she was not the one posted, however, we couldn’t send her back, so the volunteer promised to deliver the very sick one the following day. I burst into tears. A good supporter had brought this in for the arrival of Vivica, after fretting all night about her, it just brought me to tears that this person felt the need to worry about her also. Anyway, shortly thereafter, she arrived, extremely pitiful looking, in fact, hard to look at but even through her so sick eyes, you could see fight in there! 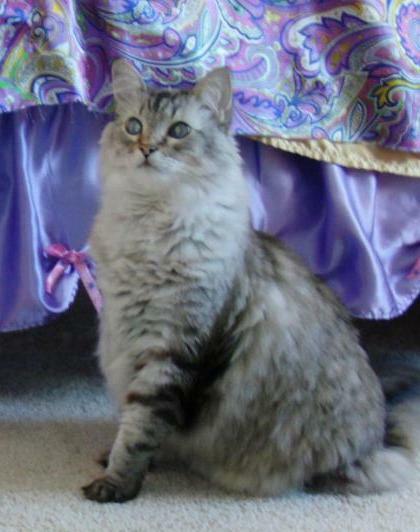 A new plan had to be made with Ms Vivica now knowing she was FeLV+, she would go to live in our FeLV cottage. But while waiting to get her moved in there, our amazing FeLV+ foster family stepped up and said they would bring her into their home. We were all ecstatic! Because its next to impossible to find a FeLV+ kitty a home but they don’t deserve to die just because they wont have a normal kitty lifespan, we couldn’t have been happier that this little girl would live in a home with a family. Just a bit over a month or so ago, her eye began to swell and we thought it was just an eye infection. When the swelling seemed to keep going even with medical intervention, she saw a specialist and she was diagnosed with a rapid growing cancerous growth. In the last few weeks, her adoring foster family tended to all her needs and we searched for a treatment that might slow it down or stop it to no avail. Most of this time, this little bada** was not going down without a fight and fight she did. She maintained her weight, kept giving her foster family the look of “why so worried, can’t you see there are birds to watch outside and things to get into?”. Our veterinarian was just astounded at her, she said “usually with this cases, they feel as bad as the cancer is going” In other words, she should be going downhill as the growth was almost exploding, but she didn’t. Until her very last day, she enjoyed everything a kitty enjoys in life and with gusto. On Sunday, February 3, she could no longer fight and her foster family knew it was time to help her to cross to The Bridge. We can’t imagine what the Bridge is like now with Vivica’s arrival. We are sure she is causing a stir there and there are probably others saying “wow, what in the heck is the newbie up to?”. We are happy she is no longer suffering and also happy that she didn’t appear to really be ill, despite her appearance, until her last day. Thank you to all of you that loved and cared for this ornery little girl who carved a place in anyone’s heart that crossed her path. Larsons, thank you for getting her well enough to live a year after we rescued her, thank you Verrinders for loving her like she deserved and sharing her antics with us and Dr. Smith for trying so hard to save her and Dr Bradley for putting her to peace on a weekend evening. Godspeed Ms Vivica, thank you for crossing our path and making us smile so many times, you have lots to explore in your new place, I know you are already into things you are not supposed to ………. It’s taken me a bit to get to a place where I could write this Princess’ tribute. It was June 2, 2012 around 1pm that Princess Arianna left her earthly body for The Bridge. I will miss her so. 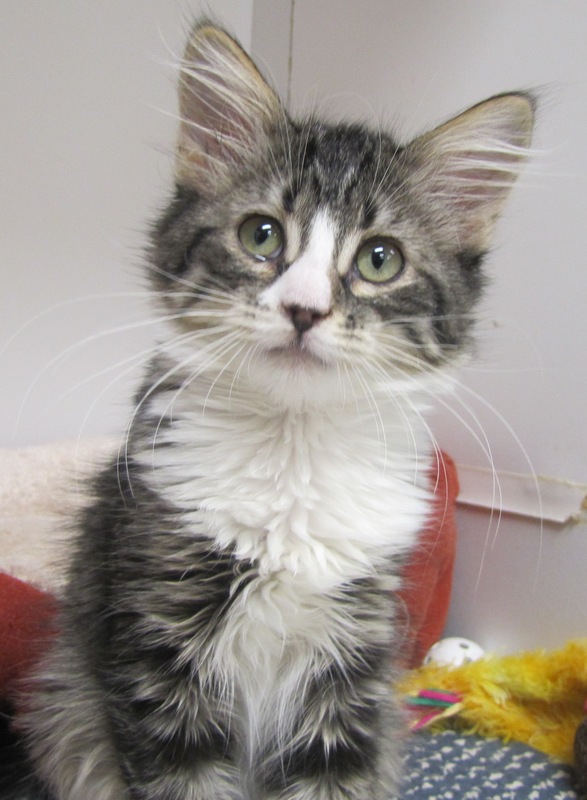 Arianna was brought to HELP Humane as a 3 week old kitten needing to be bottlefed. Anyone that has bottlefed knows that a single bottle fed kitten is a total brat. Because they don’t grow up with siblings, they don’t really learn how to “be good”. They believe it should be their way or no way. I looked at the crossed eyes of this little charmer and I was in. Now, I have to say that I am the worst bottle feeder there is because I just panic when they don’t eat well and that is not a good energy to send when a baby is needing a mama to comfort them. But how could I say no to this? So, her and I survived her bottle feeding and she went to a home shortly after appropriate weight for spaying. There were a couple of times in her 5 years out on adoption, her family called saying that she was a biter and they were going to bring her back but they never followed through. (ALOT of single bottle babies are biters) In February 2011, they did return her, but not for the biting but because she had some bad potty habits. We have an awesome foster family that adopted a Feline Leukemia positive cat from us a few years back and fosters them for us also. This family decided to foster the Princess. She was never really a big fan of other cats as she really thought she should have a queendom of her own. So, she made her place in the bedroom of the youngest in her foster family. Arianna would watch over her at night sleeping above her head. About eight months ago, our vet did a procedure on Arianna’s booty that corrected most of her issues with her booty and she was so happy not to be missed with every day in that area 🙂 and life was good. So Princess Arianna spent her last couple months training a new Princess. Princess Pammy. 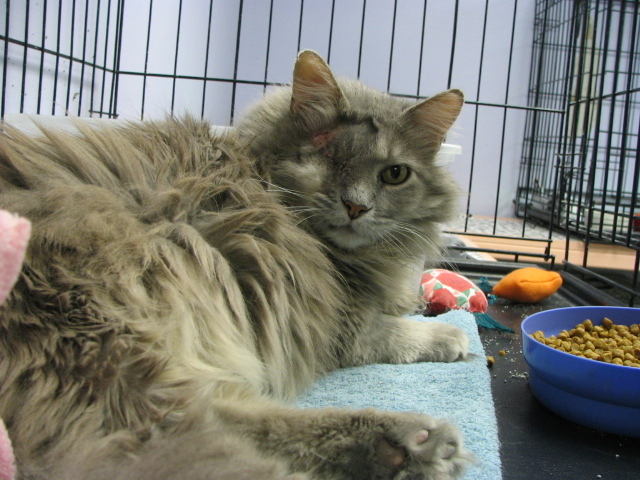 Princess Pammy was brought into a local Animal Control Shelter with an injured eye. We pulled the kitten into our shelter and got the injured eye removed and then found out she was also Feline Leukemia positive. 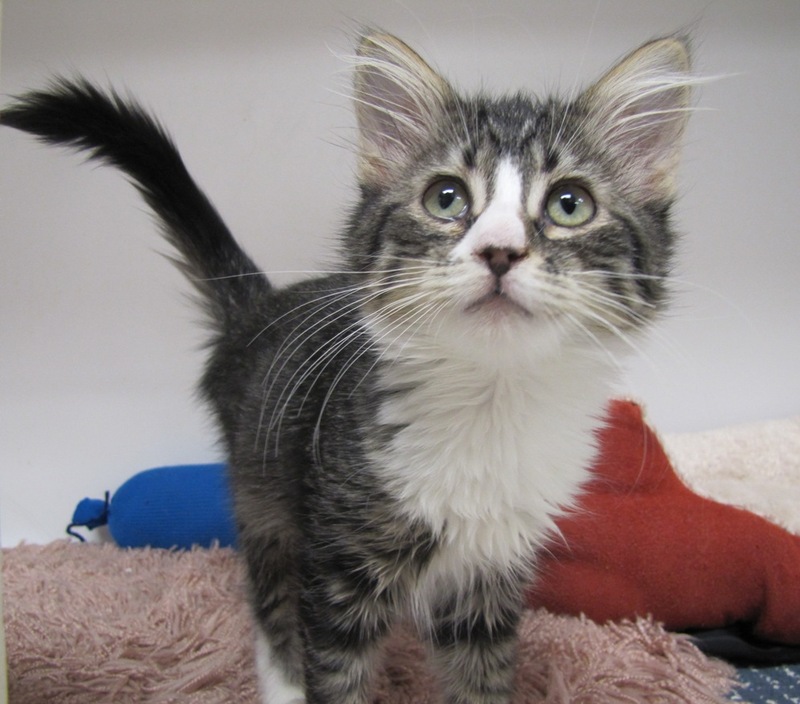 The young daughter in our above foster home always wanted to foster a kitten, but since they had to be Feline Leukemia positive, she hadn’t gotten the chance at that. Well, this time she did, in fact, this awesome family took on 2 kittens that were positive. Princess Arianna trained Princess Pammy to take over the throne when her time was up and Princess Pammy was like glue to Princess Arianna. Foster family went on vacation right before it was Arianna’s time, but she apparently decided to wait for them to return before she was leaving. In her last few days, she had given up eating and on the morning of June 2, foster family wasnt even sure she was still “there”, her eyes were glazed and she just looked past everyone. She was telling them it was her time. So, foster family surrounded her with love as she left us behind. Even foster daughter was there for her Princess and it was her first time being there while putting an animal to peace. Her passing was peaceful and full of love. Princess Arianna went on to her next queendom and left us behind in tears. We are not sure that she received much kindness in her lifetime between the times we had her but we know she knew it the first and last part of her life. I am quite sure that as Princess Pammy took over her crown that Princess Arianna was proud of her own work. And we also believe that she still watches over her little human Princess at night. Godspeed Princess Arianna………. What a ride, even if you didn’t! Saturday, June 2, 2012 was our first “2 Wheels 4 Paws” Charity motorcycle ride for our shelter. It had been in planning for right at 6 months. I had always wanted to do this type of fundraiser but not being a “biker” person, it just wasnt happening. Then Diana (her and her husband David love riding) decided to take on the challenge, and boy what an amazing job she did! Thank you Diana for stepping up to the plate and hitting it out of the park! Now, anyone that knows me knows that I am a big ball of emotions most of the time but it’s just me 🙂 I always love seeing the big biker convoys all riding for a cause. There is something about seeing that that brings a lump to my throat. Well, it was definitely more than a lump with our ride! The craziness of planning a big fundraiser is full of ups and downs and adrenaline, and the closer you get the more things go wrong and the knot in your stomach gets tighter. Up until about the last week prior to the ride, we really didn’t have a lot of riders that had signed up. We learned some lessons as in all 1st time fundraisers and we didn’t get the word out enough that people needed to pre register for the event (the registration included catered food and we obviously didn’t want to order more food than we needed and the caterer needed notice. Jump to June 2, 11am and there are 43 bikers lined up to leave Rawhide Harley in Olathe for a 80 mile (a long scenic route) trek to the shelter. Yes, 43!! I was at the shelter getting ready and set up there, so Nicki filmed them leaving there and I was going to film their arrival. When the riders were 2 miles out, we all awaited alongside the road they would pull in on at the shelter. My heart was racing and my eyes were welling. It was such an amazing and heartwarming sight to watch these 40+ bikers pulling in to the cheers of us “non bikers” waiting at the shelter. Each rider chose a HELP Humane resident to “ride for” and tied a picture onto their bikes showing who they were riding for. Could there BE anything cooler?! So, I wept as they pulled in trying to film it and clap and yell at the same time. I will attach the link to the video at the end of this blog. Animals don’t get choices in their lives, some end up with fantastic lives, others barely get to live at all and still others never even know love. There was something powerful about all these people in their tough guy/gal garb thundering down the highway together to help homeless animals. Most of the riders wanted to meet the animal they rode for, how special is that? So, I dabbed my tears and watched them get off their bikes and just savored the moment of awesome people helping awesome animals. A few minutes later, I gave Diana a big hug saying “awesome job”. What an incredible event, can’t wait until our 2nd annual ride! Thank you to all of you that rode, our fantastic sponsors, those that donated raffle items. all the volunteers that helped it go incredibly smooth all day, the non riders that joined us for the after party, Scratched Vinyl, the band that performed during the after party for free(! ), Tracy who designed our adorable logo for the ride, Lisa who donated the sponsor banner, if I left you out, it was certainly not intended, I plan to send personal thank yous to everyone. It was a day that will live in my memory, even though my brain is overflowing most of the time, there will always be this special memory there. Thank you to all that helped create it for our babies, you are all ROCK STARS! !